The hotel is at a very convenient transportation conjunction. 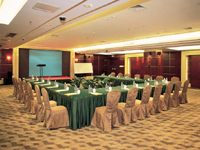 It is only 10 minutes drive from the Pazhou exhibition center, and 40 minutes from the new Baiyun International Airport. Through the link of express highway, the Guangzhou Science City, Gaotang Software Park and the GETDD can easily be reached. 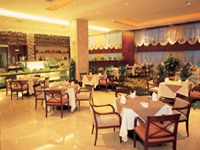 The Grand Royal Hotel offers our guests an elegant, refined world of European class. So be our royal guest! 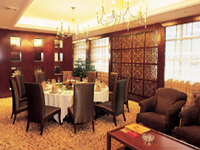 * 10 minutes by shuttle bus to the Pazhou Exhibition Center of the Canton Fair. * Free shuttle bus to the Pazhou Exhibition Center of the Canton Fair if you book online now.